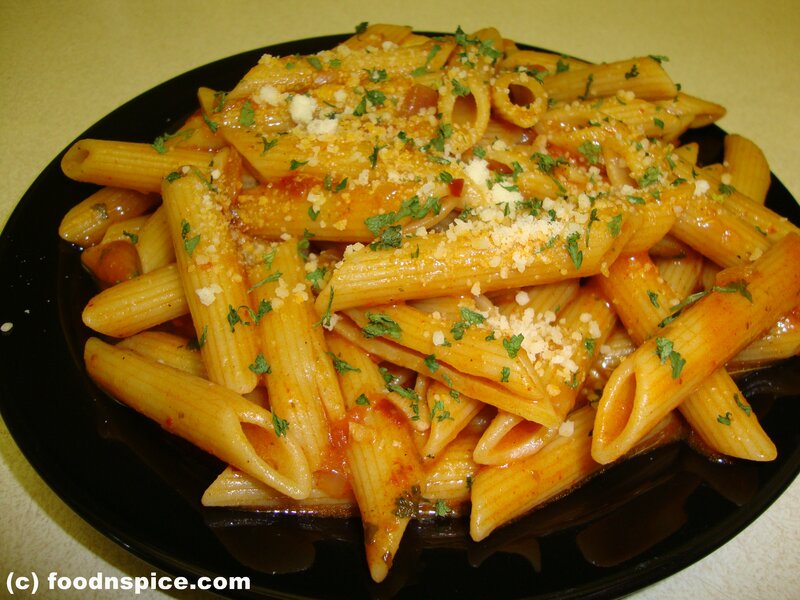 Boil penne in plenty of water with salt and a teaspoon of oil till al dante which means till just cooked. Drain and set aside to cool. Blanch tomatoes, peel and roughly chop. Heat oil in a pan. Add garlic and saute for half a minute. Add red chili flakes and continue to saute. Add onions, green chillies and saute till onions turns soft and translucent. Add chopped tomatoes and mix. Add tomato puree, red chili powder and mix. Add salt, oregano and mix well. Cook for 2 to 3 minutes till the mixture gets a sauce consistency. Add little water, if the sauce is too thick. Add the pasta to the sauce and mix in well. 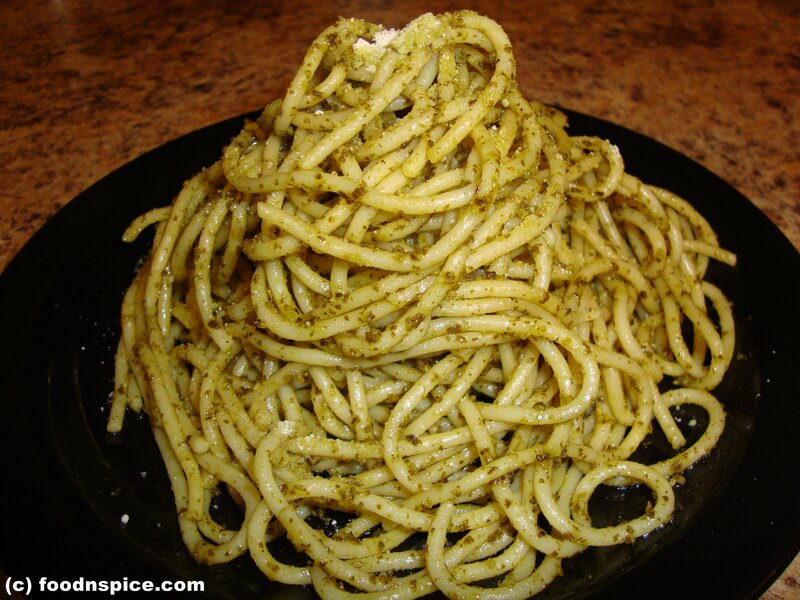 Serve hot garnished with parsley and grated parmesan.